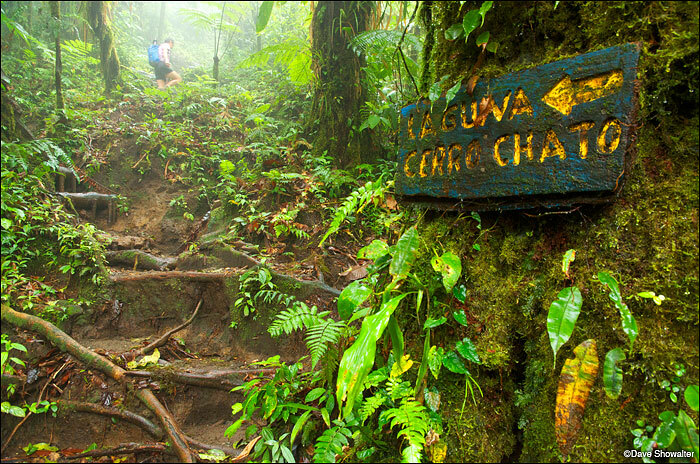 Marla hikes through dense rainforest on the steep, rugged, slippery Cerro Chato Trail. The trail leads to a lake in a dormant volcano. Photo © copyright by Dave Showalter.